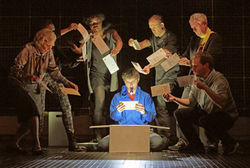 The Curious Incident of the Dog in the Night-Time returns to the Alhambra Theatre, Bradford for one week from Monday 31 July – Saturday 5 August. 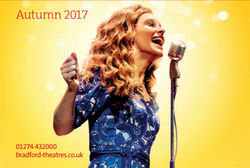 Bradford Theatres launch their Autumn season in style as the first UK tour of Beautiful – The Carole King Musical opens in Bradford. The musical mania continues with brand new musicals The Band and Cilla – The Musical and returning favourites Grease, Blood Brothers and Hairspray. To celebrate the release of his fifth studio album Joe will embark on a nationwide live tour with songs from his new album, and more. 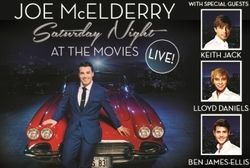 JOE MCELDERRY SATURDAY NIGHT AT THE MOVIES LIVE, will make a stop at the Alhambra Theatre, Bradford on Tuesday 25 July. 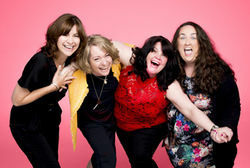 Former England cricket captain, and star of SKY’s League of Their Own, Andrew “Freddie” Flintoff will swap the cricket pitch to tread the boards as he joins an all star cast for the world premiere of Kay Mellor’s Fat Friends - The Musical. Freddie will play Kevin Chadwick opposite the previously announced, Jodie Prenger as his fiancée, Kelly. 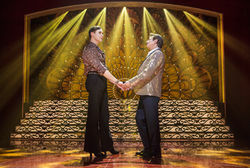 Bill Kenwright presents the highly anticipated UK tour of the Tony and Olivier award winning LA CAGE AUX FOLLES, which will be at the Alhambra Theatre, Bradford from Tuesday 18 – Saturday 22 July. 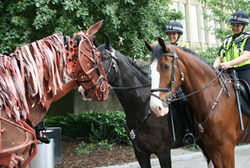 The National Theatre’s acclaimed production of War Horse, based on the novel by Michael Morpurgo appears at the Alhambra Theatre, Bradford 14 February – 10 March 2018 as part of a national tour. 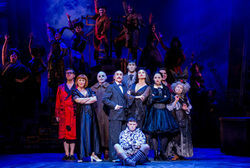 New Adventures are delighted to announce the tour dates for the much-anticipated return of Matthew Bourne’s CINDERELLA. 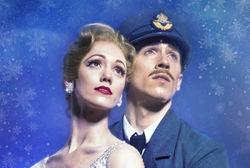 The tour opens on Saturday 9 December 2017 at Sadler’s Wells and arrives at the Alhambra Theatre, Bradford in May 2018. 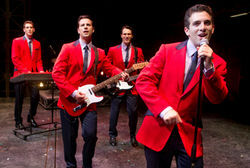 Due to overwhelming public demand, the producers of JERSEY BOYS are delighted to announce a second UK & Ireland Tour. JERSEY BOYS returns to the Alhambra Theatre, Bradford for two weeks from 22 May 2018.